There is a newly built World Cup-style track at Bear Mountain Resort. This mountain bike center is our national training center headed up by Rob Fawcett and Canadian National Team coach Dan Proulx. The Canadian team was out in full force to support the event. 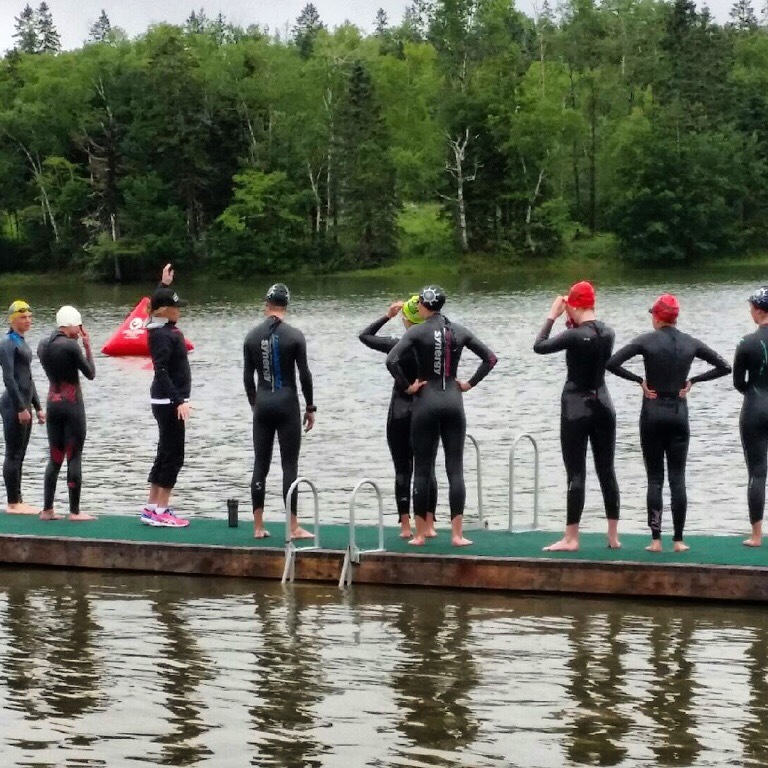 I couldn’t miss the chance to test myself against Canada’s best, including our Olympic hopefuls, while getting out there with a lot of fit, outdoorsy types from my city participating in a super fun event. I don’t run either – LOL! Kudos to Bear Mountain Resort for building such a fun race course. High five to Rob Fawcett for putting so much energy into getting the National Mountain Bike Center in Victoria and a second high five to Dan Proulx for coaching the up and coming generation of amazing mountain bikers. It is so great to see the legacy Canadian women like Alison Sydor left behind is continuing with Catherine and Emily. Canadian women have comprised the world’s best mountain bike team since the 1996 Olympics in Athens, and it seems that is continuing. Mountain bike racing has changed considerably since I was on the national team. Our races were longer in duration, with longer laps, and a lot of natural features. We did a lot of road racing and endurance training to prepare. 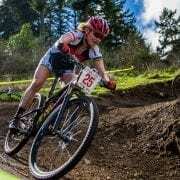 Now mountain bike courses are short, with a lot of man made features like jumps and berms and the overall race time is at least 30 minutes shorter. The national team rides almost exclusively on single track, has a lot more jump skills and spends more time in the gym than doing endurance training. Mountain biking has almost become a new sport and it is very cool to experience this change for myself racing head to head with these girls. I was definitely out of my element but there was a method to this madness. 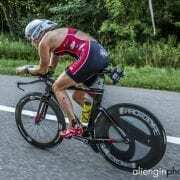 Even if I am still training for a nine hour event, I want to go FASTER in Ironman and the only way to do this is to expand the range of speed I have and build strength. I could do a bunch of big gear work and all my riding on the road but I would prefer to plow around in the singletrack as well. Enter mountain biking. Awesome Photo by Mariska Richters Instagram/Twitter: @mariskar. Spot the Ironman triathlete with the poor start skills. The good news is I clawed my way back into the top 10 by the second lap. This was solely based on my ability to pound up the only grass climb on the course. I remember back when I was on the national team when we used to complain and lament the grass climbs in Europe – Sunday that was my favorite section…haha! Nobody had more fun than I did riding in that race. 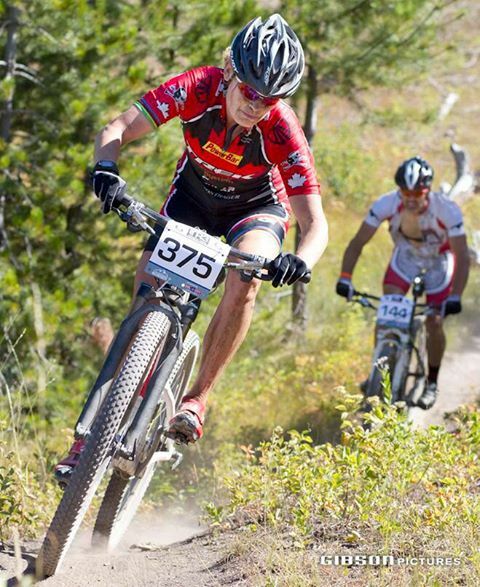 The last time I raced a mountain bike race I actually won- I did the Transrockies TR3 event in 2013- but that is an ENDURANCE mountain bike event. 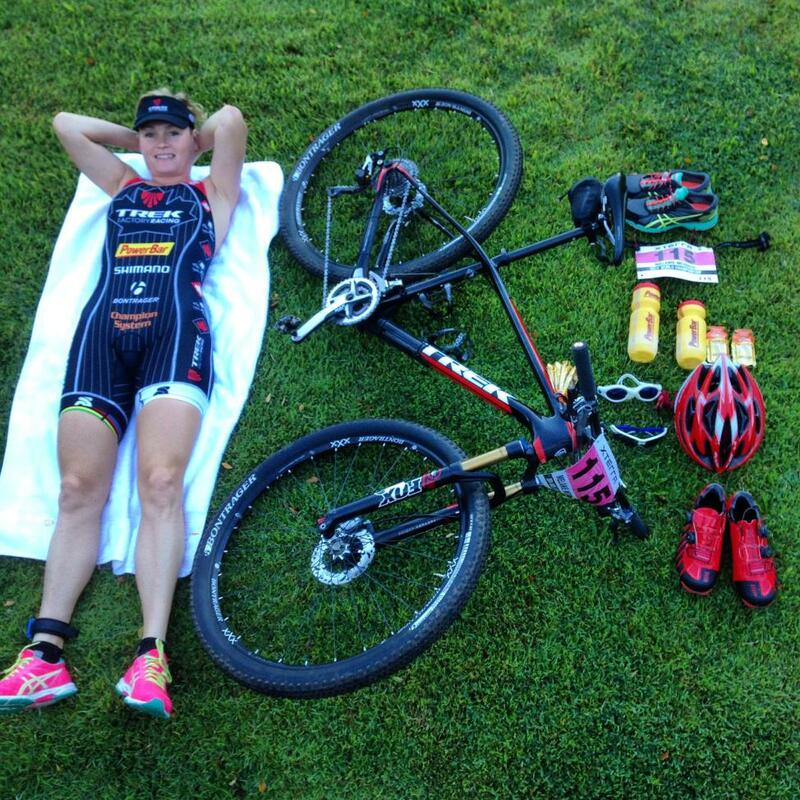 Endurance mountain biking is much more specific for Ironman fitness with long climbs and three to four hour stages – I would recommend this kind of racing over the more technical, punchy xc races for Ironman athletes. On the Bear Mountain course there were no long road sections to use my endurance fitness, lots of skill/rhythm sections and 90 minutes of race duration – no way I could wear down these super fit speedsters. I earned lucky 13th. World Champion Catherine Pendrel won the race with Emily Batty taking second, both of those girls are top international racers so we were treated to a good show. This race the hardest and most fun workout of the year and I only now realize how much I miss mountain biking! I will definitely be doing more this spring knowing 100% that my expectation is to not be super competitive for wins but rather to use the races to my own advantage for triathlon. 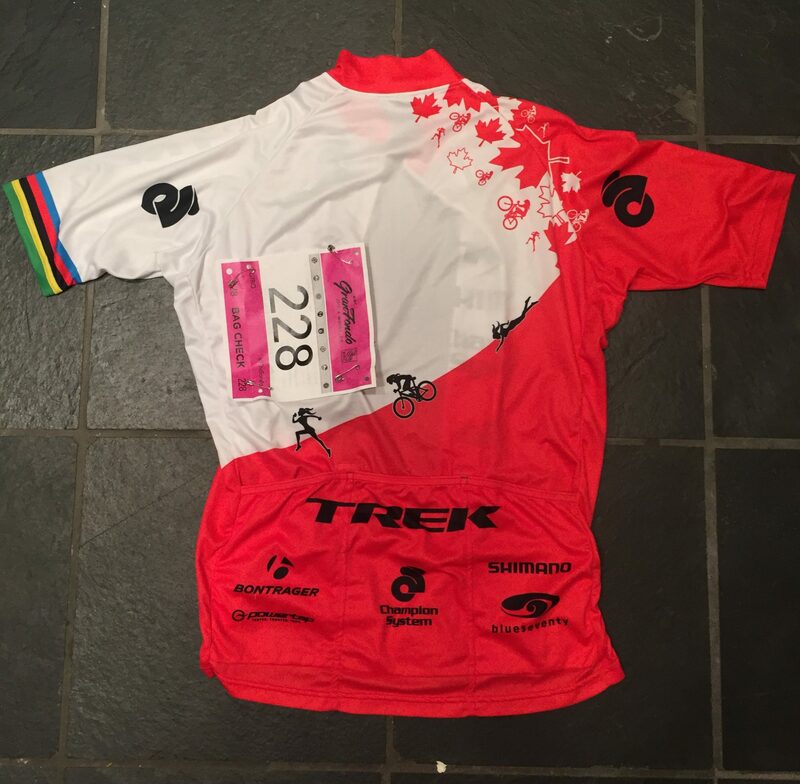 I still won’t train the skills required to be a fast mountain biker but I will use the races to improve my skills and fitness as an Ironman athlete.